Bridgette Mayer Gallery is pleased to announce the participation of Charles Burwell and Ryan McGinness in the upcoming, traveling exhibition, "Beauty Reigns: A Baroque Sensibility in Recent Painting"
Organized by René Paul Barilleaux, Chief Curator of Art after 1945 for the McNay Museum Art Museum, the exhibition celebrates the exoticism, exuberance, and optimism found in the artists' work. The exhibition surveys the work of 13 prominent national and international artists. Artists such as Charles Burwell, Ryan McGinness, Jose Alvarez (D.O.P.A. ), Kamrooz Aram, Annette Davidek, Fausto Fernandez, Nancy Lorenz, Beatriz Milhazes, Jiha Moon, Paul Henry Ramirez, Rex Ray, Rosalyn Schwartz, and Susan Chrysler White. Like Burwell, and McGinness, the other featured artists' work expresses characteristics of high-key color, layering of sureface imagery, use of overall and repeated patterns, stylized motifs fragmented representation and tension between melancholy and the sublime. 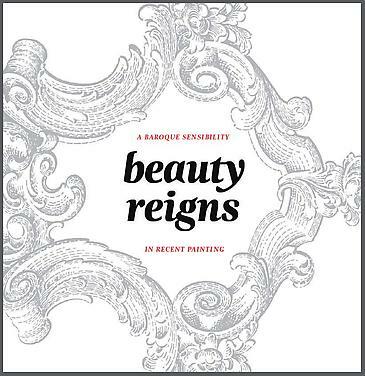 In honor of the exhibition, the McNay Art Museum will be producing a full color hard cover catalogue. The book will include essays by Stephen Westfall, painter, critic, and professor at Bard College, Lilly Wei, art critic and independent curator, and the exhibition's curator, Rene Paul Barilleaux. Available July of 2014.